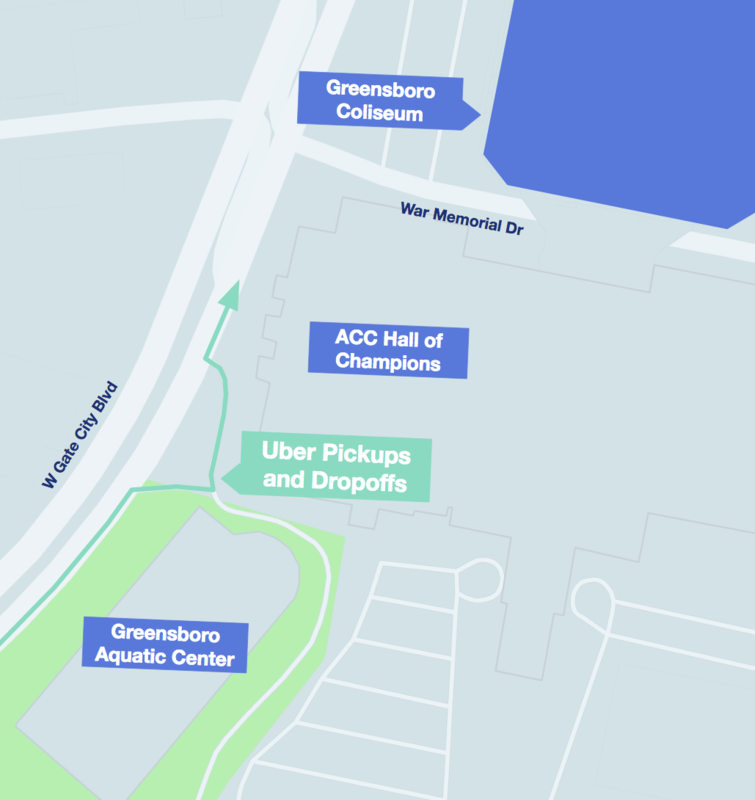 The Greensboro Coliseum makes it easy to catch an Uber to and from events. With a designated pickup and drop-off area, it's easy for drivers to cash in on the action. Pickups and dropoffs will now take place in the driveway off of W Gate City Blvd directly in front of the Hall of Champions. Do not to pull into any of the other lots in the Greensboro Coliseum Complex.